Want to listen to live music on the Alabama coast? Whether you enjoy a singer/songwriter, dance band, or rock and roll, awesome venues for catching a show are around every bend. We’ll run down some of our favorites. We’ll start with Big Beach Brewing Company in Gulf Shores. Located at 300 E. 24th Ave., Big Beach serves an array of ales to enjoy along with toe-tapping tunes. LuLu’s in Gulf Shores brings top local acts to the stage, including Brent Burns, Adam Holt, JERI and Jimmy Lumpkin. 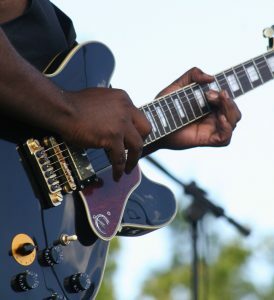 Head up the highway to Fairhope and you’ll discover more great local talent. The Book Cellar at Page & Palette bookstore in downtown offers entertainment by an artist in residence each Monday night beginning at 5:30 p.m. Hear some of the best up-and-coming singer/songwriters, as well as some of the area’s favorites such as Grayson Capps, Molly Thomas, Eric Erdman and others. Fairhope Brewing Company and The Bone and Barrel are also great spots for catching live music while sipping on your favorite brew. You’re sure to love the laid-back vibe wherever you pop in for a cold drink and great tunes along Alabama’s Coastal Connection.